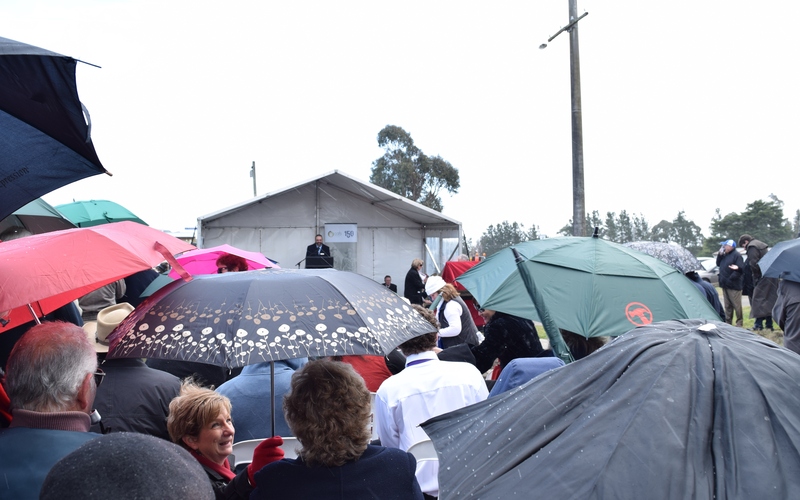 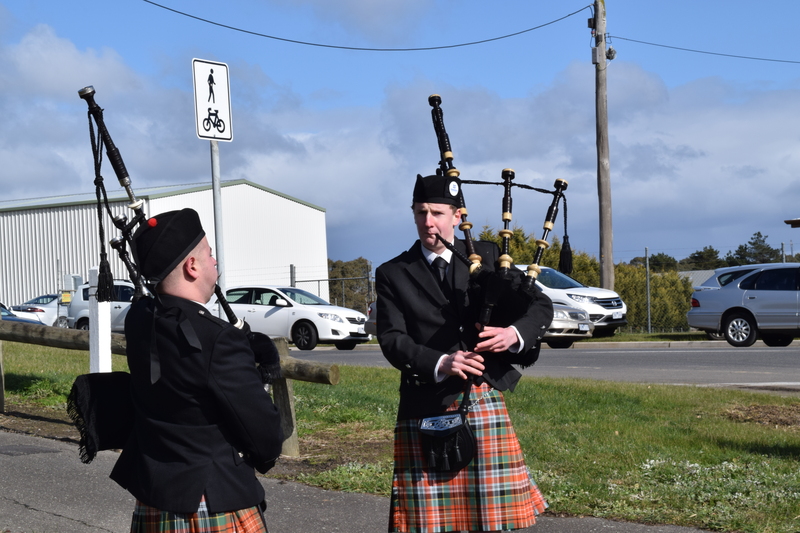 On Monday 3 August 2015, on a very cold Ballarat (with a little sleet/snow/hail thrown in for measure) the re-creation of the Arthur Kenny Avenue of Honour took place on Fortune Street, Ballarat East. 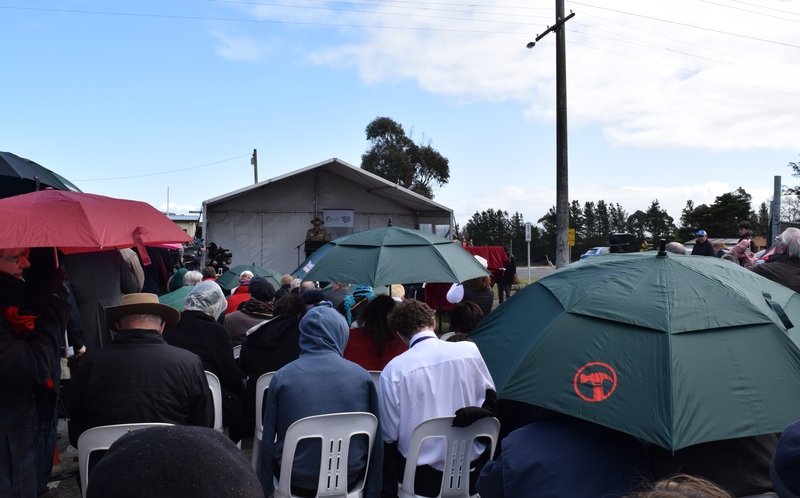 Over recent months, staff from Ballarat Childrens’ and Family Services (CAFS, a successor organisation to the Ballarat Orphanage) the City of Ballarat, Conservation Volunteers Australia, People at Work, Bunnings Warehouse, Espresso Mobile Cafe Ballarat, and the joint Rotary Clubs of Ballarat – with additional support received from the RSL Ballarat sub-branch – have worked together overseeing the planting of 106 replacement oak trees along Fortune Street. 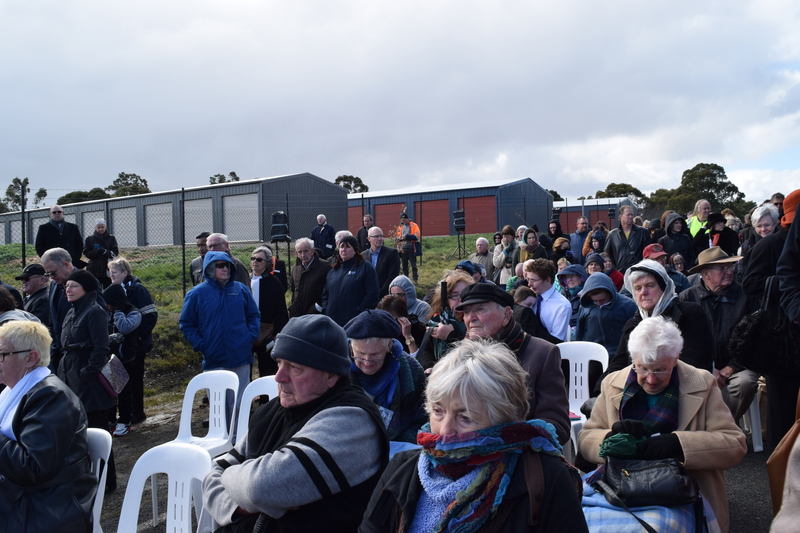 These oaks replace those which formed the earlier Avenue of Honour named after the then manager at the Ballarat Orphanage. 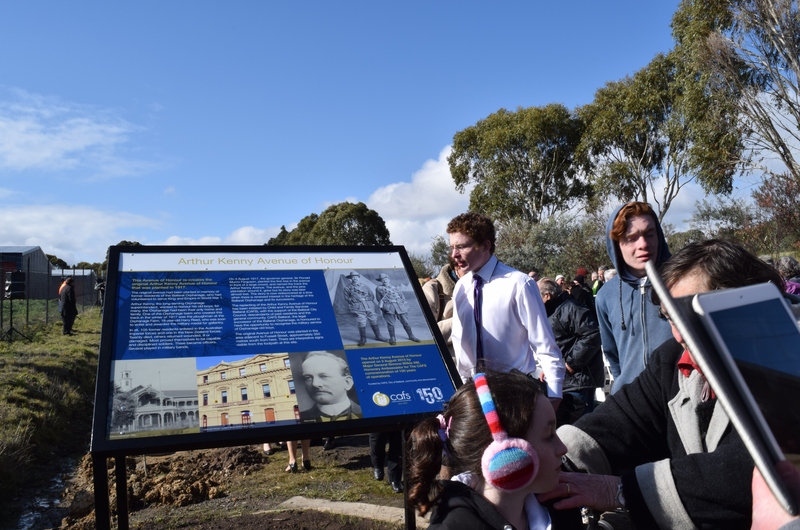 After Arthur Kenny’s death in 1925, the Avenue named in his honour slowly fell into disrepair. 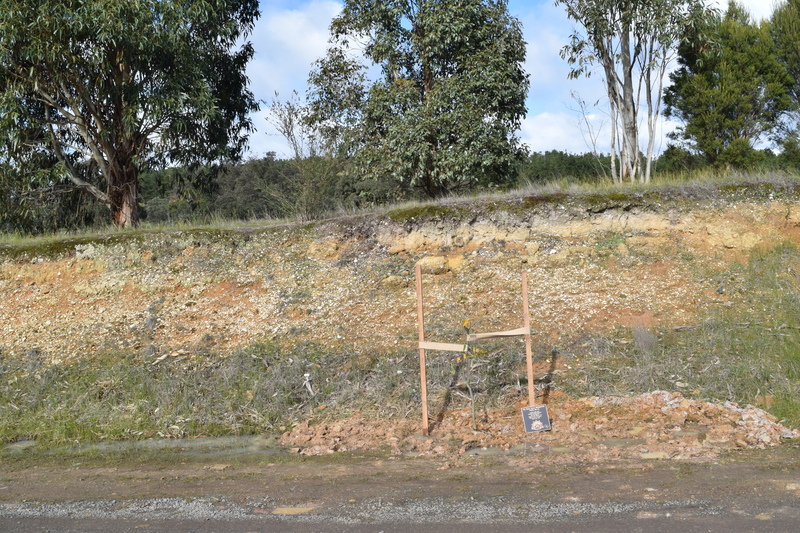 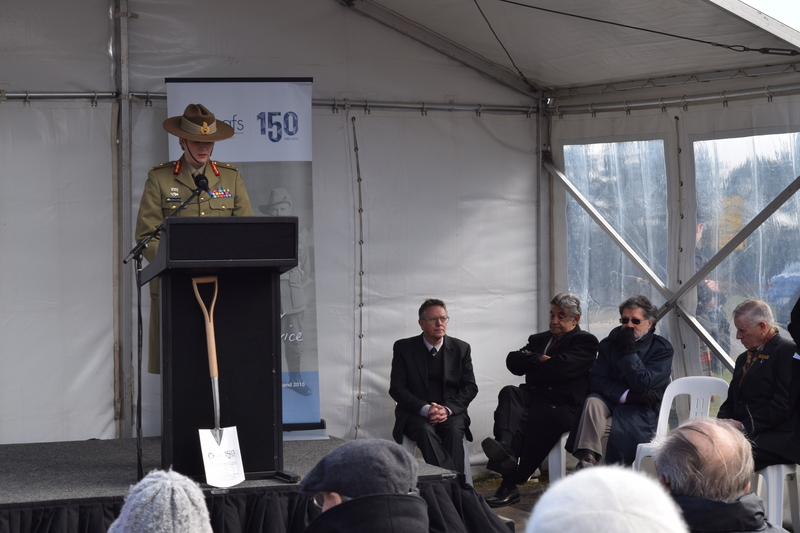 This project along with today’s ceremony form part of CAFS 150th celebrations in 2015. 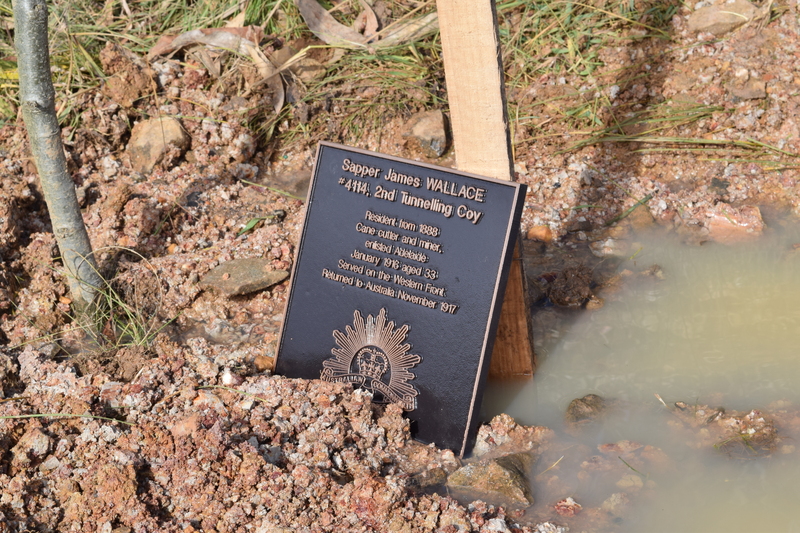 Today, a newly cast commemorative brass plaque sits alongside each replacement oak; and the one pictured below commemorates the life of 4114 Sapper James Wallace – one of Ballarat’s sons – who served with the 5th Australian Army Tunnelling Corps.